Should there be anyone left in the world unsure of DreamWorks’ incredible sensibilities when it comes to producing quality, endearing computer generated feature films, a dose of Kung Fu Panda 3 should be all that’s required to squish any doubts. 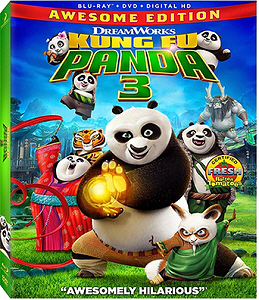 The third edition of the Kung Fu Panda film franchise (not counting a host of holiday themed mini movies, shorts, an animated series etc.) came to us on January 29th, 2016 with a run-time of 95-minutes. It was built on a budget of $145-million and managed to gross $521.2-mil worldwide by the time it completed its theatrical run. In most film series the third iteration begins to feel a bit tired but Kung Fu Panda 3 avoids all of the usual trappings by offering up perhaps the strongest emotional connection of the franchise to date. 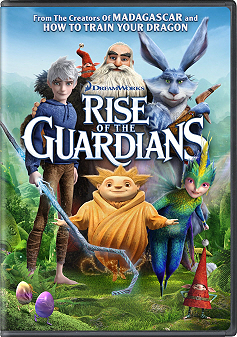 The story opens with the happenings of the spirit realm and the late Grand master Oogway’s (Randall Duk Kim) ongoing struggles with an enchanted-blade wielding yak named Kai (J. K. Simmons). Kai, it turns out, has mastered the ancient art of capturing chi and turning the life force of those he’s imprisoned into emeralds that he keeps on a chain. It is only in capturing the chi of Oogway that Kai is powerful enough to enter the mortal realm where he finds Po (Jack Black) in the awkward transition from student to teacher. 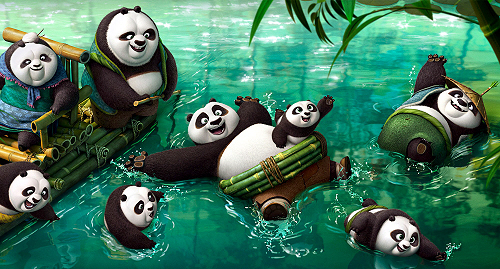 Things get ugly in a hurry when Po discovers training the Furious Five; Tigress (Angelina Jolie), Crane (David Cross), Mantis (Seth Rogen), Viper (Lucy Liu), and Monkey (Jackie Chan), isn’t near as effortless as Master Shifu (Dustin Hoffman) made it look. Stymied and humiliated, Po is taught that he needs to find himself to fulfill his destiny as the Dragon Warrior. Further complicating things, he discovers his real father (Bryan Cranston) in a chance encounter in town just as Kai’s zombie minions begin to unleash their havoc upon the land. Under the fluid and beautifully paced direction of Jennifer Yuh Nelson (who helmed Kung Fu Panda 2) and Alessandro Carloni, the third film is never in danger of feeling like a retread; but instead offers up a whole new dimension to the established mythos with poise and grace. Perhaps most impressive here is the depiction of an older, slightly wiser Po without ever compromising the character’s immature enthusiasm. Thankfully, there was no need to demonstrate the passage of time here by making Po married with children or any other such similar cliche’, rather an ending sequence where Oogway passes the proverbial torch onto Po with pride beautifully says it all without having to say much. You feel the maturation that accompanied Po’s journey from the first film all those years ago. Add to this a perfectly written score from Hans Zimmer and the entire experience feels soaring, tense at times and always laced with just the right amount of comedic relief. Back in 2010, DreamWorks Animation CEO Jeffrey Katzenberg announced that the Kung Fu Panda franchise was planned to have six movies, or “chapters”, altogether. If that’s still true, we’re only halfway through the saga and while DreamWorks can be known to stretch things out a little longer than necessary at times (Shrek or Madagascar, anyone? ), the truth of the matter is Kung Fu Panda has proven some series actually get stronger as time goes on. Let me start this review with a strange matter of opinion: this is one of very few major motion pictures I’m aware of that really does nothing better than the (much lower budgeted) television series of the same name. Even more surprising is that this may not even be the fault of the film itself so much as a testament to the fact that the TV show did a lot of things right. That being said, Penguins of Madagascar is the 92-minute 2014 DreamWorks film that managed to flip a $132-million budget into $373-million at the box office. No bad at all for any film, much less the fourth in a franchise and a spin-off of lesser characters at that. Said franchise of course would be Madagascar and while the quartet of penguins have primarily played a fairly minor role in the grand scheme of madness that is the series (King Julien- need I say more? 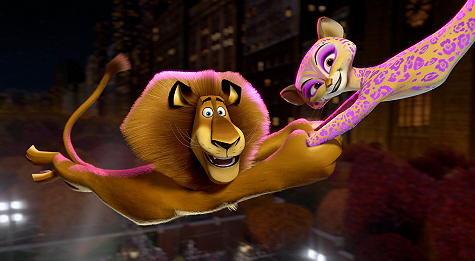 ), the truth is DreamWorks has been steadily grooming them for stardom ever since the 2005 release of the first Madagascar. 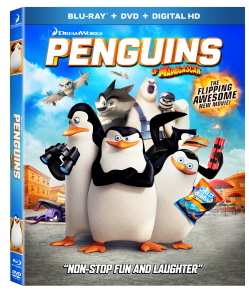 In fact in the beginning Penguins of Madagascar was planned to be a direct-to-DVD affair set for a 2009 release. 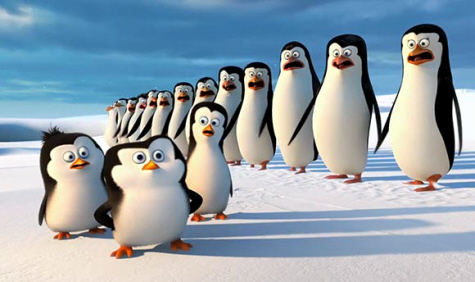 Eventually the plan changed to a theatrical release, the budget continued to climb and finally a mere 5 years after the initial proposed date, Penguins hit the big screen on November 26th of 2014. The story here, or what tries to pass as one anyway, follows Skipper (Tom McGrath), Kowalski (Chris Miller), Rico (Conrad Vernon) and Private (Christopher Knights) as they unravel a penguin-plucking caper head up by an octopus named Dave (John Malkovich). Fortunately they end up enlisting the help (competing with) an elite arctic animal operative group known as North Wind along the way. While this may sound like a pretty reasonable story summary when written out as such, the actual experience of watching the film plays out much closer to a series of visually-rich, physics-defying sequences loosely stitched together in the hopes of a plot manifesting. This shouldn’t come as a surprise of course keeping in mind that the Madagascar films themselves have degenerated plot-wise into chase movies. Over-the-top, wise cracking minor characters can’t really be expected to bring the dramatic appeal after all. So what you do get instead is 92-minutes of action, puns, gags, action, spoofs of other films, action. Individuals seeking depth would certainly be better off looking into something from Pixar; Penguins of Madagascar is a visual feast with explosions aplenty and little more. Jokes happen in such rapid-fire succession that you often find yourself taking in the next one before fully comprehending the last. 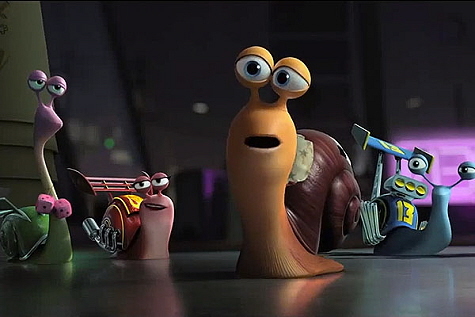 Kids of course should delight at the plentiful visual gags, gorgeous textures and fast-moving plot but adults have to be in the right state of mind going in to take anything away from this piece (other than a headache). That state of mind is one of detachment from convention and a willingness to let the loose plot just carry them where it will. 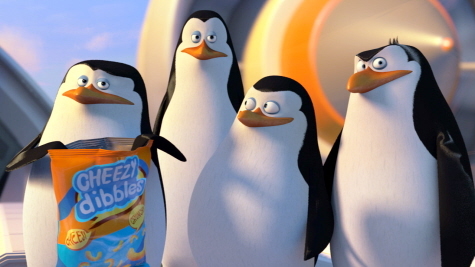 Unlike the monotony underlying Madagascar 3’s plot development, Penguins doesn’t even bother hiding from the fact that it is nothing more than a silly chase movie. In fact, it almost embraces it. Individuals looking for a bit of pop cultural satire will likely take note of the fact that the movie literally opens poking fun of Werner Herzog’s documentary style complete with the real Herzog lending his voice to the gag. I may be in the minority here but I would go as far as to say the voice cast of the Nickelodeon animated series of the same name has a more natural character dynamic than that of the film. In it Skipper is also played by Tom McGrath but Rico is voiced by John DiMaggio, Jeff Benett does Kowalski and Private is performed by James Patrick Stuart. If you’ve never seen the show, the liberties taken with Rico make the character much more endearing and Kowalski is played with a dryness very reminiscent of John O’Hurley. It works wonderfully. In conclusion, going into Penguins of Madagascar requires a very similar approach to Universal/ Illumination’s 2015 hit Minions- expect a quick, nonsensical plot laced with popping visuals, precise camerawork, impeccable editing and high-quality animation. If you’re able to take anything else away from the piece, consider it a bonus. 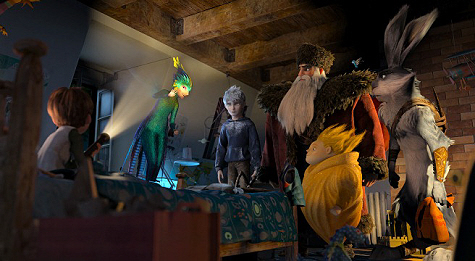 You really have to hand it to DreamWorks; often considered second fiddle to the mastery of the CG craft that is Pixar, these guys just continue to release solid family flick after solid family flick. Known as the “money studio”, The Croods is a good example of genuinely clever writing and a solid story carrying a piece over just an inflated budget being used to force advertising down our proverbial throats. 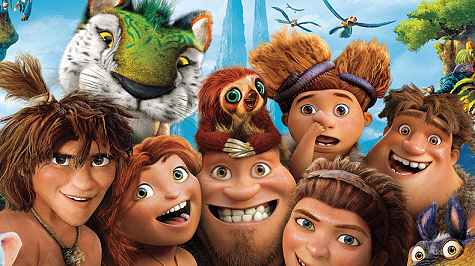 Released back in March of 2013 domestically, The Croods was created on a budget of $135-mil, it’s been a smashing commercial success having taken in well over 587-million and counting. Never ones to let a franchise opportunity pass them by, DreamWorks already has plans for a sequel and ongoing television series (following in the footsteps of franchises like the Penguins of Madagascar, Kung-Fu Panda, Monsters Vs. Aliens, How to Train Your Dragon and so on) in the works. The film loosely follows the exploits of teenage cave-girl Eep (Emma Stone) who, in addition to dealing with all of the nonsense that comes with being a human teenager (including alienation from her family, self-discovery and so on), she has the unfortunate distinction of going through puberty during the stone-age. 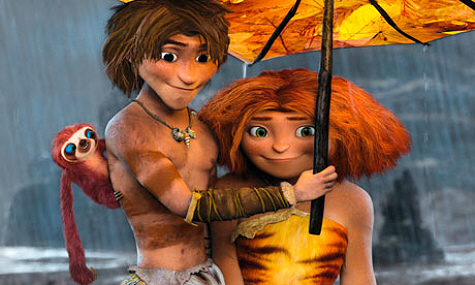 Worse still, her family (The Croods) aren’t even the “sharper” of the two quickly evolving human species running around. Nowhere is this more evident than when the dreamy (to Eep anyway) Guy (Ryan Reynolds) comes on the scene with a more upright walking position, lesser forehead and a whole host of useful inventions/ discoveries to share. This would be a win/win if not for Eep’s father Grug (Nicolas Cage) who, in addition to suddenly discovering his gene pool is in the losing end of the whole survival of the fittest thing; his very manhood becomes threatened when this new hotshot continually shows him up in front of his family. As you might expect, Grug is frustrated and purposely obstinate to his physical detriment time and time again. The pace of the film is surprisingly brisk and becomes an action piece right on through to its fruition shortly after we’re introduced to the characters. Visually, the film is beautiful with a rich color pallet and textures absolutely rife with the perfect amount of detail to hint toward otherworldliness. As you might suspect, the scale of many of the yet evolving plants and animals occupying planet earth are, well, off the scale. Perhaps most interestingly, the film takes us to a land where many fantastical but lethal evolutionary hybrids dwell, stalk and hunt. Among these the half dog/ crocodilian called a Crocopup or the colorfully feathered and furred half parrot/ half saber tooth tiger Macawnivore (that quite frankly looks like it may have been lifted and transplanted directly from James Cameron’s alien world in Avatar). This results in amazing replay value whereby what’s going on in the background can be as enjoyable to spot as the main prose for multi-time viewers. Interestingly, the runaway success that is The Croods actually began life as a proposed five-part film deal from Claymation geniuses Aardman (hilariously titled Crood Awakening). It’s also the first DreamWorks piece to have been distributed by 20th Century Fox (their prior films were distributed by Paramount Pictures). 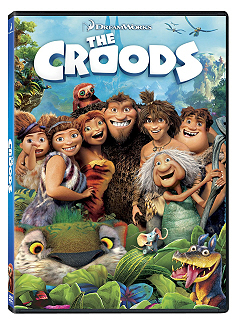 In conclusion, The Croods will likely appeal to viewers of all interests with its witty writing (especially the subtle scientifically accurate gags), the fast pace and wonderfully unique environments. 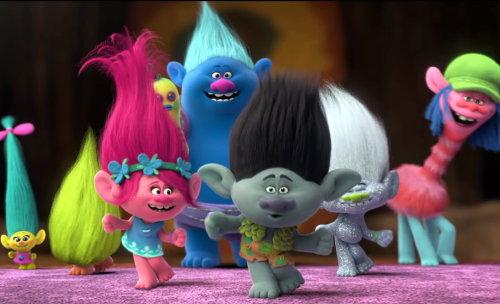 While it’s clear DreamWorks is wasting no time in riding the wave of the film’s popularity, one can hardly blame them considering the end results here. Given the success of the Puss character from the second Shrek film onward, one would get the feeling it would take a lot to screw up the origin story. However, looking at the film as a whole, it certainly falls short of the expectations of the franchise on which it’s based. This isn’t to suggest it’s a total failure of course, so much as it seems the producers of this piece were oddly out of touch with what made the character (and the Shrek series in general) so endearing. Coming in at runtime of 90-minutes and wearing an appropriate PG rating, 2011’s Puss In Boots set DreamWorks back $130-million. 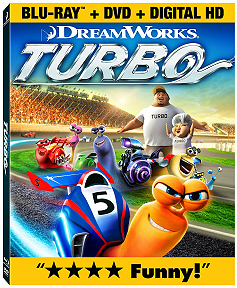 Believe it or not, the film was originally intended to be a direct-to-dvd affair before DreamWorks decided the character may have enough clout to potentially fill theaters. 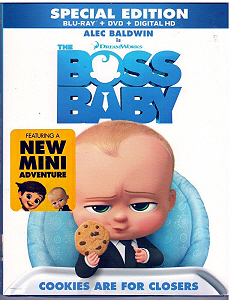 The tale naturally revolves around Puss, and sets up the vain, confident, swashbuckler (voiced by Antonio Banderas) as a kitten with delusions of grandeur, made more achievable by an unlikely partnership with one Humpty Alexander Dumpty (Zach Galifianakis). Before long the pair is on a quest to find the Goose That Laid the Golden Eggs, in hot pursuit by a murderous, drunkard Jack and Jill (Billy Bob Thornton and Amy Sedaris), and teaming up with the feisty and seductive Kitty Softpaws (Salma Hayek). 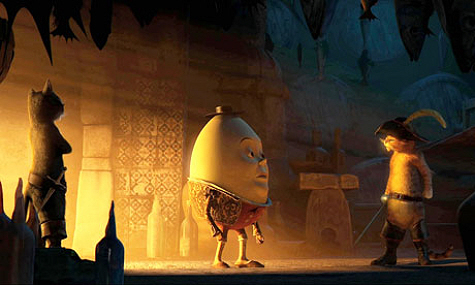 The majority of the film takes place in Spain and the surrounding deserts and while its visuals are undeniably DreamWorks, the film certainly lacks the vivid color pallet of the Shreks and instead relies upon a lot of moonlit and fire-lit scenes. 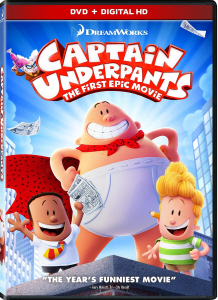 Despite moody tones and a fairly convoluted plot-line, the characters themselves are animated wonderfully with the titular character hilariously alternating between pint-sized swashbuckler and run-of-the-mill feline with regularity. The film is laced with a lot of salsa-flavored tunes and beats and there are a number of requisite dance sequences to accompany the rhythmic tunes. 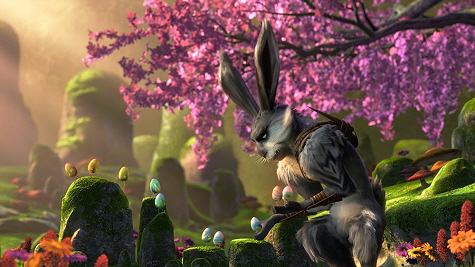 The pacing, however, isn’t quite as butter-smooth as one would expect from a big budget Hollywood animated film. Some of said dance numbers run on a bit too long and flashbacks to Puss’ roots disrupt the natural flow of the present (which, if you want to be technical is still the past in the mythos). 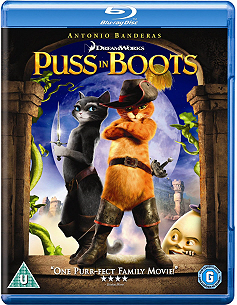 In all Puss In Boots is a fun film from the director of Shrek The Third though a strong argument could be made that this isn’t DreamWorks’ biggest or best animated feature. I’m of the opinion that the fairy tale integration isn’t near as subliminal or well-placed as we’ve witnessed in the Shrek films and the uneven pacing makes it easy for very young viewers to become bored with the story. However, the nuances of the characters themselves mixed with some moments of clever dialog do make it interesting enough for adults to sit through. In all, it’s a very good formula for a rental. 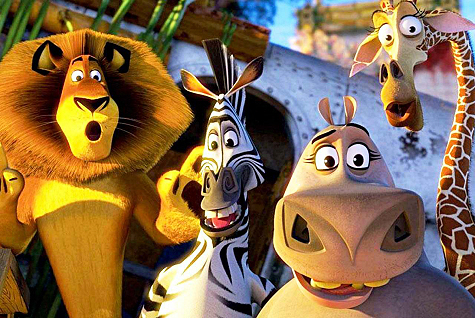 I don’t know why, but I’ve always felt that 2005’s Madagascar really didn’t need sequels. This isn’t to say that the characters and settings weren’t conducive to an ongoing plot of course, so much as the cleverness of New York zoo animals suddenly trying to make it in the wild really only works once. After that, it becomes a lot more about the characters and their trials and tribulations and in the case of Madagascar, a lot of that involves slapstick and visual gags over rich story telling. However- my misgivings notwithstanding, the Madagascar series has gone on to encompass a trilogy of films, a variety of holiday themed specials, 61-episodes of the Nickelodeon spin-off Penguins of Madagascar and somehow I doubt DreamWorks is done exploiting this one. The third film, subtitled Europe’s Most Wanted, set DreamWorks back an estimated $145-mil and comes in at a runtime of 93-minutes. It wears an appropriate PG rating and retains a majority of the established vocal cast of the past entries. The story, or what passes for one anyway, finds the unlikely group of animal escapees longing to return to their zoo where all their needs were met and in some cases (like Melman’s daily pharmaceutical overload) things they didn’t even really need were being met! Of course putting one’s faith in the group of militant penguins (who have developed a fondness for gambling in this one) as your means of transportation is sure to come with risks such as having a plane crash on route to NY from Africa directly over Europe just as a random example. What results is our escapees instantly becoming fugitives in the process as well as the targets of animal control officer Captain Chantel DuBois: equal parts French femme fatale and bloodhound. Seeking refuge in a circus, the NY zoo crew meets up with a host of circus animals (including a knife throwing Russian tiger, Roman sea lion, a silent bear and an Italian Jaguar). The circus, it turns out, is in a pretty sad state of affairs and could use the showmanship of some of New York’s finest to get their act together. All the while the main characters are trying to plot a way back to the US while Captian DuBois manages to stay one step behind. So does any of this tell you if this film is worth a purchase or rental? Probably not, so let’s take a look at some of the technical elements. The colors, complicated sets, and animatics are all top notch; so much so in fact that the (character models in particular) look surprisingly simplistic from 2005’s original Madagascar. The pacing is a bit odd, with massive action-laced chase sequences that hold the viewer’s attention by themselves but the overall plot rather crawls along with no unexpected twists or turns. Whether or not the comedy will work for you depends heavily upon your sense of humor. There isn’t a whole lot here for the adults.. A few puns here and there, King Julien’s obnoxiousness, and a bit of pop culture reference (you have to look close though to pick up on the references to The Matrix, Inception, X-Men Last Stand and so on). If you’re big on slapstick, however, you are in for quite a treat! Falls, smacks, tumbles, collisions and tranquilizer darts are aplenty! 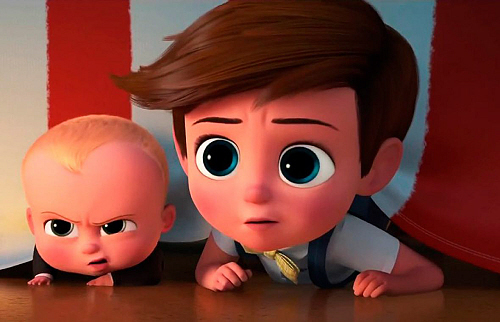 Kids will likely enjoy the sheer over-the-top nature of the cartoony visuals more than adults will enjoy locating a segment of truly clever or thought provoking dialog. 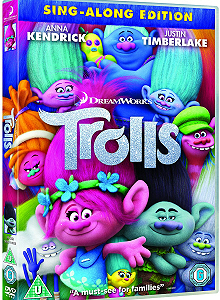 In all DreamWorks has sort of fallen into the pattern of pumping out huge budgeted, visually intensive CG feature films that don’t commit any major crimes so much as they simply lack for substance. This seems especially true for all of the many sequels they pump out (the Shreks, Kung-Fu Panda, Madagascars and so on). Worth a rental for sure so long as you go in expecting a lighthearted, cartoony violent, hour & a half romp that promises to get the little ones snickering. 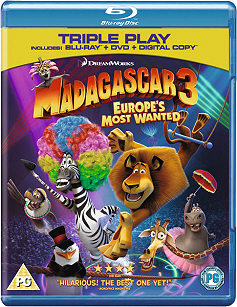 You may wish to save purchasing it to those who need it to complete their Madagascar trilogy.